On our way back downstate after the farm visit, Brownie and I needed a little rest stop. I remembered that Rachel from Cupcakes Take the Cake had recently traveled to Westchester for a new cupcake bakery, Flour & Sun in Pleasantville. It was right off the Taconic, therefore completely on the way and luckily, we had more than enough time to get lost looking for cupcakes. Flour & Sun's daily menu consists of four regular flavors and three to five rotating specials. The day we visited they were offering red velvet, carrot, smore, apple cinnamon, and rocky road; we picked up the last three. The apple cinnamon was the least complicated of the three. The apple cake was moist and flavorful and it complemented the cinnamon buttercream frosting. The enjoyable cinnamon flavor really came through with this even if it was a very heavy frosting. 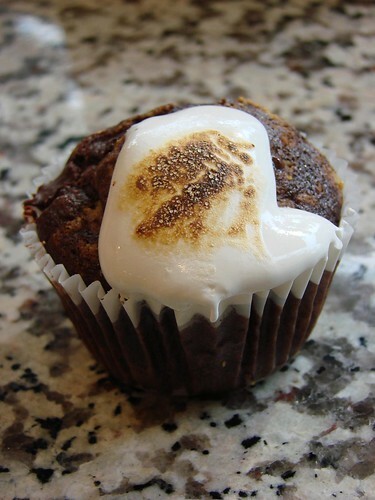 The smore cupcake reminded me of something with its graham cracker crust base, chocolate cake, and burnt marshmallow topping. It has a lot of potential, but didn't live up to it. I definitely give them kudos for getting a fluffy chocolate cake, something I'm struggling to make recently. The base could have been a little bigger, it did get a little lost in the flavors. We were both a little upset at the small amount of marshmallow. Both of the other frostings were loaded to the point of top heavy, and this cupcake wasn't even fully covered. 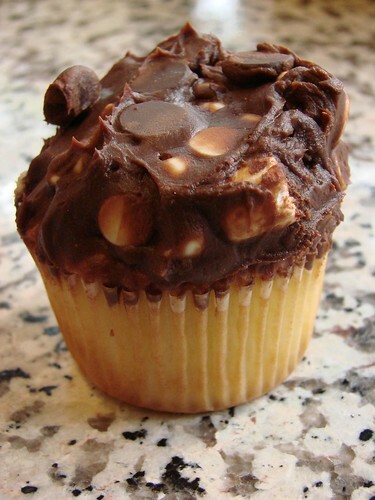 Last came our rocky road cupcake, a vanilla cake covered with a frosting chock full of stuff: chocolate chips, marshmallows, and peanuts. So much stuff, that you only got some in each bite. Again the cake was impressive with good flavor and feel. Yet, the frosting could use some help. 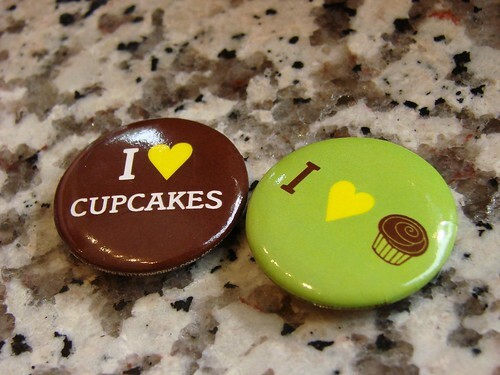 Maybe peanut bits instead of halves, maybe a marshmallow filling instead of minis in the frosting, etc. Another with lots of potential, but it falls a little short. All in all, the cupcakes were good, I'd refer them to a person living in the area or stopping by. The employees were delightful and nice, even giving directions for getting back. I'd definitely like to stop by for the regulars at some point, especially after eating the fantastic chewy chocolate chip I also bought there. 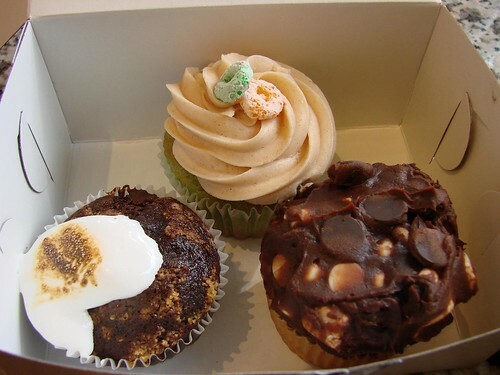 Those are probably three of my favorite combinations....apple cinnamon, Smores & Rocky Road!!! Awesome! The apple cinnamon really does sound delicious. 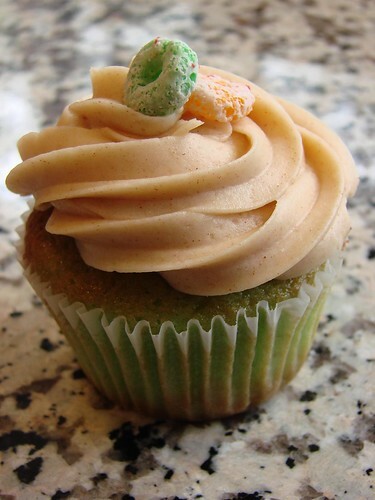 I love that they used Apple Jacks cereal to top the cupcake! Those are making me hungry! The smores cupcake looks so good!